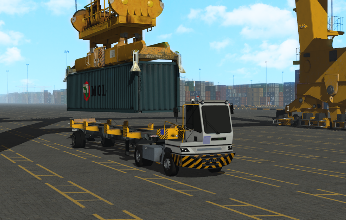 Operator training serves a critical purpose in the terminal workflow, ensuring effective, safe operations. 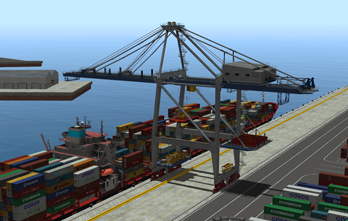 However, the method used to train these operators can have a significant effect on port productivity. 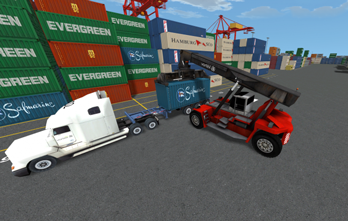 CM Labs’ feature-rich Vortex® Simulators provide an ultra-realistic, simulated port environment that allows you to train for increased safety and operational efficiency, in a risk-free learning environment. 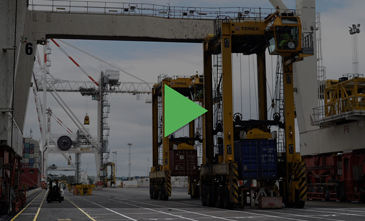 From ship loading/unloading to horizontal transport to yard management, CM Labs’ solutions can be used to train employees through the entire terminal workflow. 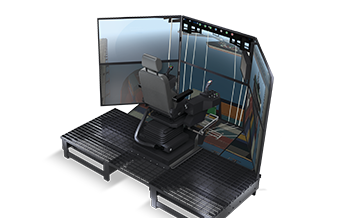 Why train with Vortex port simulators? 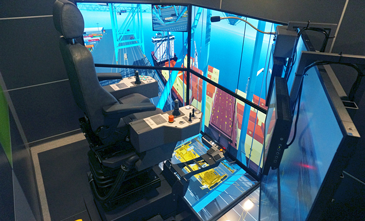 Trainees can experiment in the controlled simulation environment, learning how to safely operate machines and follow procedures without placing equipment and personnel at risk. 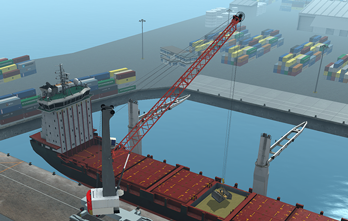 Ports require precision control of their workflows to ensure the constant turnover of vessels. 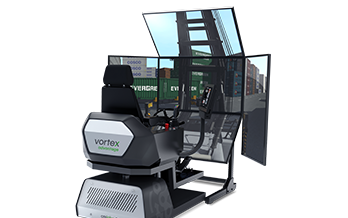 Moving training to Vortex simulators avoids having inexperienced operators in the middle of a high demand situation. After learning through simulation, trainees start live-operations at a higher competency level. 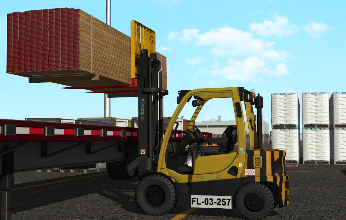 Likewise, seasoned operators improve their capabilities with on-going simulation-based upgrading. Training on live machinery costs time, fuel, and lost productivity. 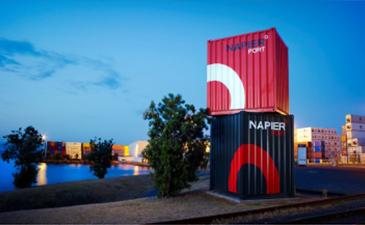 Training with a Vortex simulator not only saves these direct costs but allows trainers and equipment to be used in more effective ways. 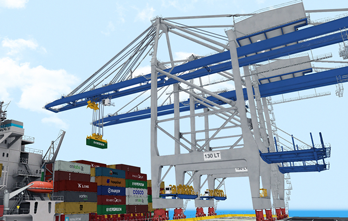 Every action taken on the simulator is recorded in real-time, allowing ports to build a benchmark for “good” operations, ensuring that all operators are equally skilled, efficient, and safe. 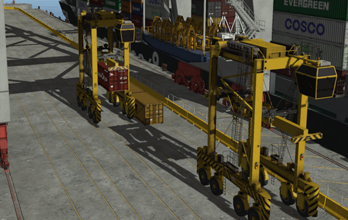 Vortex quayside crane simulators help train novices faster and further than other solutions, reducing the impact that training on these cranes can have on live activities while delivering more productive and safer operators. 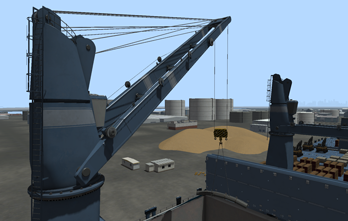 All training is conducted through a series of progressive scenarios, enhanced by advanced simulation of rigging and hoisting systems, terminal traffic and trainer-controlled virtual environments, replicating real-world conditions. 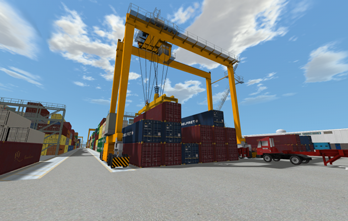 Vortex simulators let you simulate your entire port operation, extending to the container yard and the unique skills required for working there. 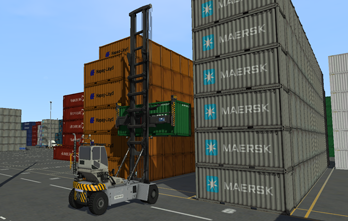 Training proper horizontal transport and container handling, including stacking rules, stacking skills, and delivery procedures, as well as avoiding tipping or other dangerous situations, builds operators who can move into live operations with the confidence and competencies required. 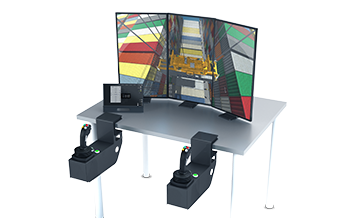 With swappable controls, flexible configuration options, and industrial-grade hardware, CM Labs offers a family of scalable Vortex port simulator hardware platforms that can grow with your requirements and budget.